Abstract: Independent of traditional approach of satellite altimeter calibration, the feasibility of altimeter validation using tide gauge located on solitary island at open sea (TGSI) and deep-ocean bottom pressure recorder (BPR) separately is initially studied. 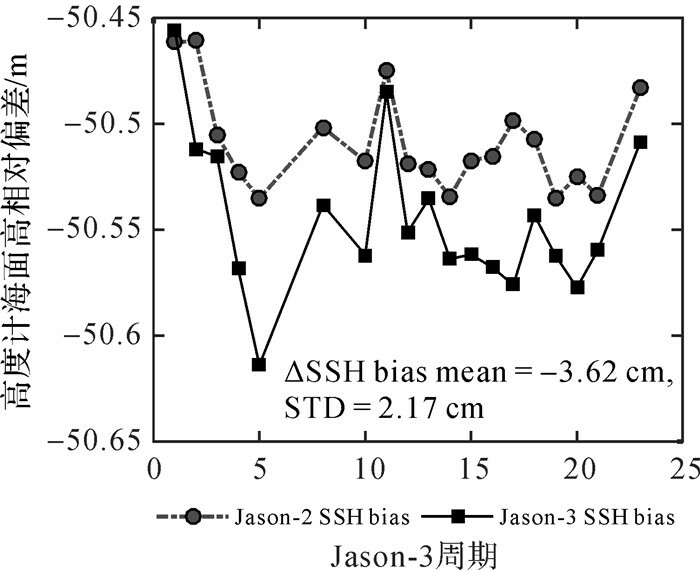 Bias of Jason-3 sea surface height (SSH) and relative SSH bias (△bias) between Jason-2 and Jason-3 is calculated using the data of tide gauge on Harvest oil platform, tide gauge No.1890000 and BPR No.21419. 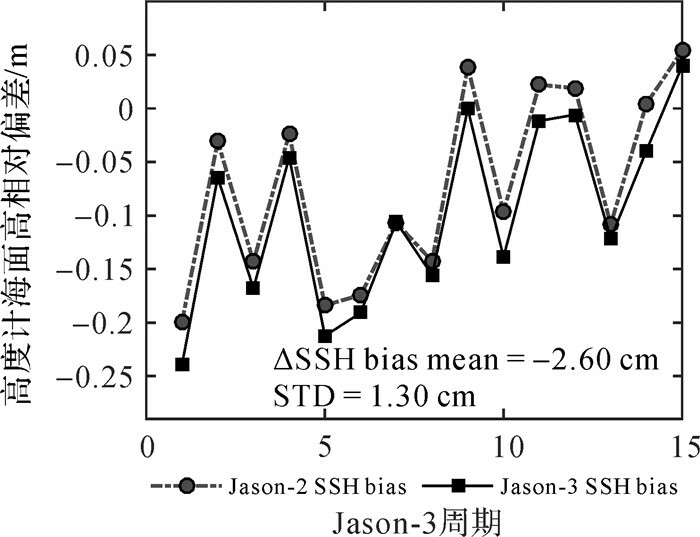 The standard deviations of calculated SSH bias sequence are 3.98 cm, 2.87 cm and 8.61 cm respectively, and △bias (Jason-3-Jason-2) is -3.62±2.17 cm, -2.58±1.97 cm and -2.60±1.30 cm respectively. 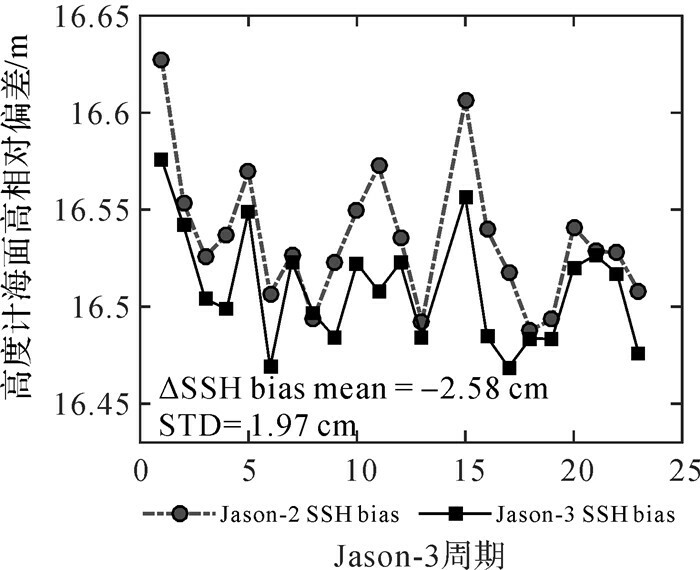 Comparing to the results reported by foreign calibration sites, the results show that Jason-3 SSH is 3.0 cm lower than that of Jason-2. 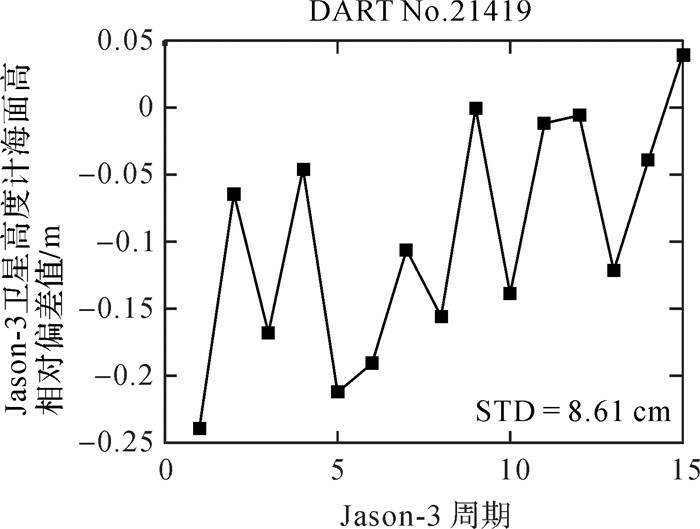 The selected BPR is appropriate to the calculation of relative SSH bias between Jason-2 and Jason-3, but it is not suitable for calibration or validation of single satellite. TGSI is appropriate to both. 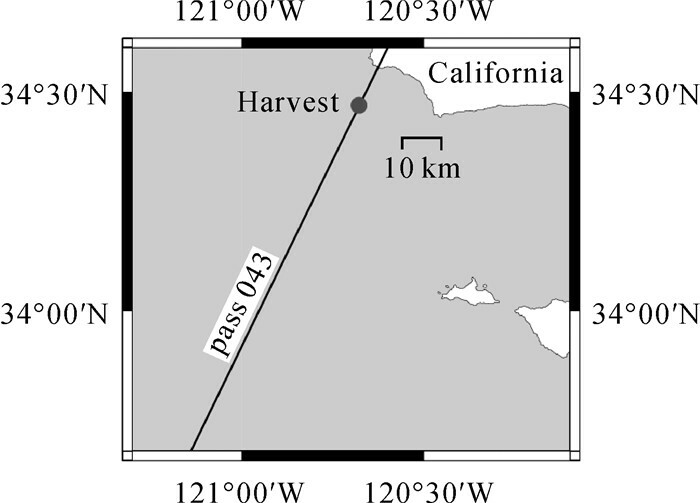 HAINES B J, DESAI S D, BORN G H. The Harvest experiment:calibration of the climate data record from TOPEX/Poseidon, Jason-1 and the ocean surface topography mission[J]. Marine geodesy, 2010, 33(S1): 91–113. BONNEFOND P, EXERTIER P, LAURAIN O, et al. 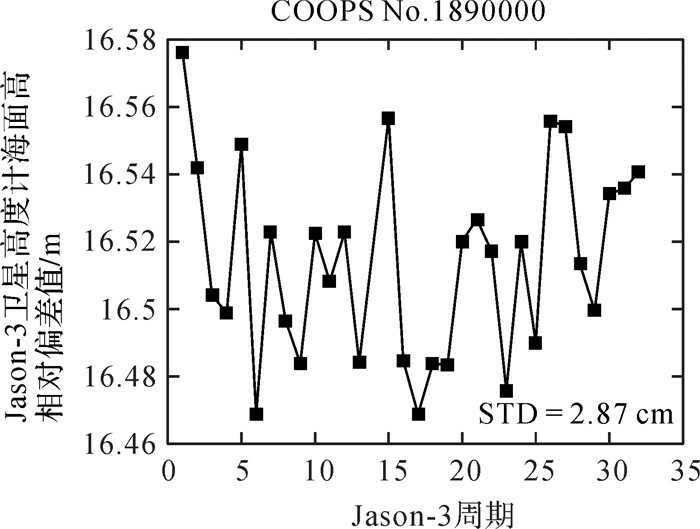 Absolute calibration of Jason-1 and Jason-2 altimeters in corsica during the formation flight phase[J]. Marine geodesy, 2010, 33(S1): 80–90. BONNEFOND P, EXERTIER P, LAURAIN O, et al. SARAL/AltiKa absolute calibration from the multi-mission corsica facilities[J]. 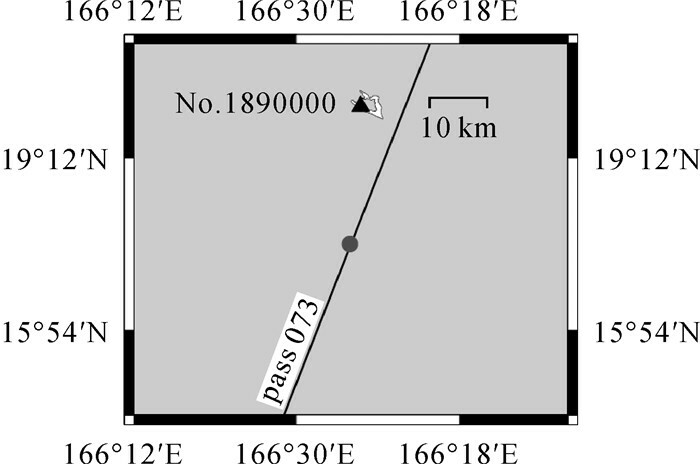 Marine geodesy, 2015, 38(S1): 171–192. BONNEFOND P, HAINES B J, WATSON C. In situ absolute calibration and validation:a link from coastal to open-ocean altimetry[M]. Berlin: Springer, 2011: 259-296. MERTIKAS S P, IOANNIDES R T, TZIAVOS I N, et al. Statistical models and latest results in the determination of the absolute bias for the radar altimeters of Jason satellites using the Gavdos facility[J]. Marine geodesy, 2010, 33(S1): 114–149. MERTIKAS S P, DASKALAKIS A, TZIAVOS I N, et al. First calibration results for the SARAL/AltiKa altimetric mission using the Gavdos permanent facilities[J]. 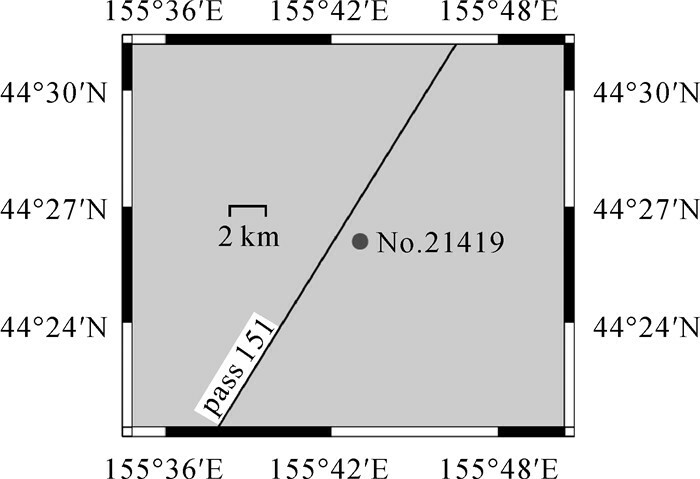 Marine geodesy, 2015, 38(S1): 249–259. MERTIKAS S P, ZHOU Xinghua, QIAO Fangli, et al. 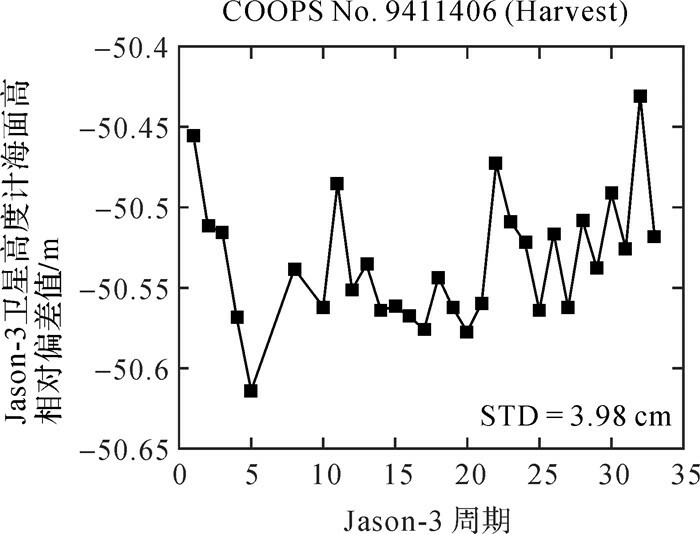 First preliminary results for the absolute calibration of the Chinese HY-2 altimetric mission using the CRS1 calibration facilities in West Crete, Greece[J]. Advances in space research, 2016, 57(1): 78–95. LAMBIN J, MORROW R, FU L L, et al. The OSTM/Jason-2 mission[J]. Marine geodesy, 2010, 33(S1): 4–25. DUMONT J P, ROSMORDUC V, CARRERE L, et al. Jason-3 products handbook (issue: 1 rev 2)[R]. Paris: CNES, 2016. 管斌, 孙中苗, 翟振和, 等. 卫星高度计绝对定标中海面高梯度的计算[J]. 海洋测绘, 2018, 38(3): 26–29, 56. HAINES B, DESAI S, SHAH R, et al. The Harvest experiment: connecting Jason-3 to the long-term sea level record[R]//The Ocean Surface Topography Science Team Meeting 2016. La Rochelle, France: [s.n. ], 2016. WATSON C, LEGRESY B, KING M, et al. Altimeter absolute bias estimates from Bass Strait, Australia[R]//The Ocean Surface Topography Science Team Meeting 2016. La Rochelle, France: [s.n. ], 2016. BONNEFOND P, EXTERTIER P, LAURAIN O, et al. Corsica: a multi-mission absolute calibration site[R]//The Ocean Surface Topography Science Team Meeting 2016. La Rochelle, France: [s.n. ], 2016. DETTMERING D, SCHWATKE C. Global multi-mission crossover analysis: performance of Jason-3 and other new data sets[R]//The Ocean Surface Topography Science Team Meeting 2016. La Rochelle, France: [s.n. ], 2016.